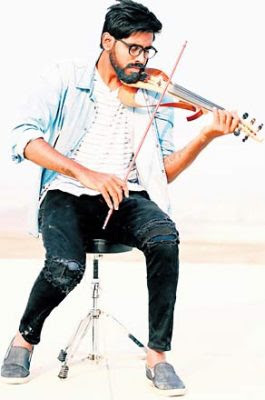 Hyderabad’s young violinist, Gautam Raj is quite popular on social media, inform Siddharth Rao, Journalist | Writer | Startup Enthusiast | Content Creator. Soulful renditions of popular songs on social media by upcoming musicians are a rage now and in many cases, this is what helped upcoming musicians into the mainstream music world. One such musician, who got opportunities through social media, to play in films is city-based violinist Gautam Raj. A banker by profession, Gautam started posting videos on Facebook a little over a year ago and through that, he got opportunities to play in films, including the recent hit RX 100. I spent so much time with my guru that there’s a lot of his style in my playing. Meanwhile, I finished my B Tech and did MBA. All throughout, there was constant jamming or practice,” explains the violinist who also performed for many short films.